Curing concrete of a new foundation for new addition. Cured concrete in Toronto home after underpinning project. Concrete is a long-lasting, durable building material which due to its multiple possible uses gets used for a range of projects. Its uses range from curbs and pads for air conditioners to flooring for a new addition. used for many different projects inside your home, surrounding your home or your business. When it comes to concrete - you definitely want to hire a professional first time around! 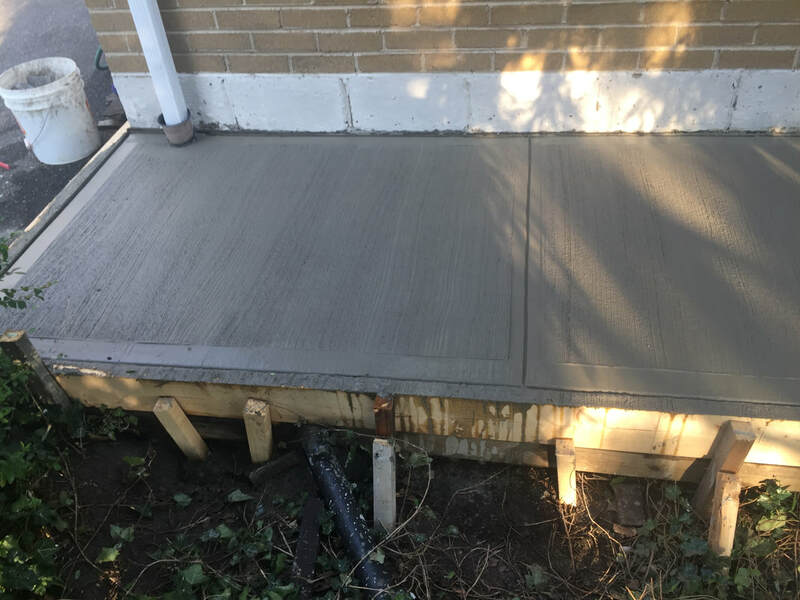 VMB Group pours and finish's concrete whether its a pad for your AC or its the foundation for your new additional or newly lowered basement.